Whether you are building or renovating, choosing the right heating option for your home is an important factor. Especially in these cold winter months it is such a pleasing luxury to come home to a warm environment. There was a time when your home heating comparison in NZ was pretty much limited to wood fires. However, now with clean air regulations in place (especially in Christchurch) these are not always the go-to solution. Current technologies have allowed the creation of a diverse range of heating options for consumers, including wood fires, gas fires, heat pumps and ducted air conditioning. This range of choices allows you to choose the solution that best suits you. When you want to compare heating options to decide which system to have in your home there are many elements you will want to consider. These include, but are not limited to, energy efficiency, cost, aesthetics and size. The following heating comparison guide will give you an overview of your options to help you make an informed decision. Wood fires are a classic option for heating your home. They are economical. Especially if you have access to cheap firewood which you will obviously need a substantial supply of for winter. As with all heating options you need to have the right-size fire to heat your home effectively. To avoid pollution you need to make sure that your wood fire is clean-air approved. Although they can need more work in terms of keeping tidy, there is a unique comfort you get from sitting around your wood fire on an icy cold evening. Gas fires are fast at heating and offer the convenience of easily regulating heat. These are cleaner than wood fires, making them a popular option. The different styles available for a gas fire give you the opportunity to make this a stunning statement feature in your home. You can even choose the colour to suit your interior design. They are a great heating option for both indoor and outdoor placement. 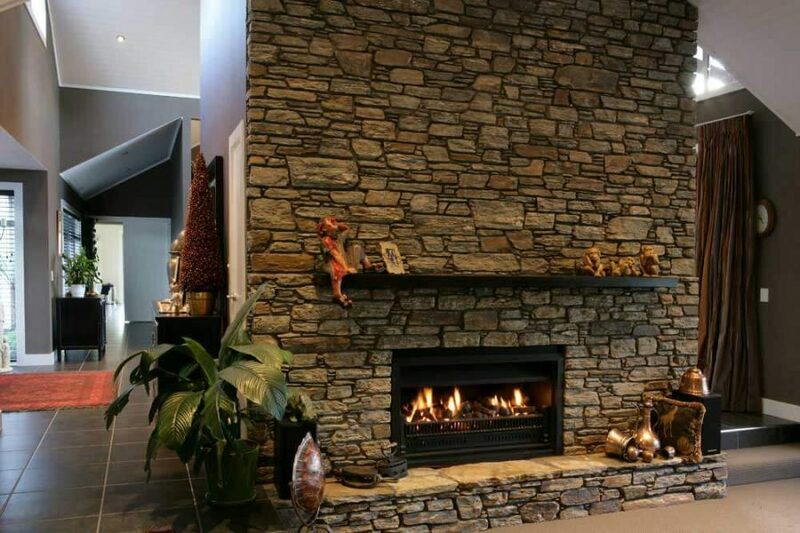 The fire may be in your lounge or in an outdoor living area, providing a warm space for entertaining all year round. Just imagine having an outdoor gas fire, a deck area and some comfortable outdoor furniture, wouldn’t it be luxurious? Heat pumps are a relatively cost-effective way of heating your home. Once again there are different types of heat pumps available. You can get a wall-mounted heat pump or a floor-standing heat pump, whichever you think would fit better into the layout of your home. In order to maintain efficiency you need to make sure you get a heat pump that is a suitable size. The right-size heat pump should heat the area from cold in 5 to 15 minutes. Another advantage of heat pumps in the heating comparison chart is that they are also beneficial for cooling in summer. Ducted air conditioning works in a similar way to heat pumps in the fact that there is an outdoor unit and an indoor unit working to change the air temperature. This form of heating gets brownie points in our big heating comparison because its indoor unit can be hidden away in the ceiling. Flexible ducts within the ceiling are able to pass heat into multiple rooms via vents in the ceilings, walls or floor. This is a quiet, discreet option for heating your whole home effectively. Ducted air conditioning is also beneficial for cooling in summer. When you compare heating options you’ll find that all have one thing in common: to be most effective you also need to ensure that your home is adequately insulated so that minimal heat is escaping. Here at Penny Homes we will listen to your needs and ideas to make sure you get the right source of heating to suit your home. To see examples of some of your heating options visit one of our show homes, or our Christchurch showroom. It is also a good idea to do your own research and talk to others about their heating systems. No matter what system you have chosen or chose to go for, make sure you keep warm this winter!